In the 1939 film The Wizard of Oz, the “great and powerful” title character is revealed to be a mere mortal. And while for some viewers the takeaway of that revelation is that he’s a fraud, another point of view holds that he – like all of us in a way, really – is just playing a part. Moreover, taking away his wizardly persona doesn’t erase all of the extraordinary things he did along the way. All this came to mind as I wrapped up a recent conversation with Emitt Rhodes. Though to be sure Rhodes has never, ever made outsized claims about his own greatness, a kind of cult has grown up around the body of work he created in a few short years in the late 1960s and early 1970s. And he certainly didn’t discourage that by all but disappearing from the music scene completely for more than four decades. But is that really true? Did he “disappear” after his string of solo albums that ended with the perhaps-prophetically-titled Farewell to Paradise? But the multi-instrumentalist continued to write songs and record them in his well-appointed home studio in Hawthorne, California. It’s just that no one heard these songs; Rhodes wasn’t especially anxious to share them. Not without reason, one could argue. He was all of nineteen or so when he signed a deal with Lou Adler‘s Dunhill Records, one that in retrospect looks particularly onerous and unrealistic. The terms of that contract required the one-man-band Rhodes to turn in a new album’s worth of material every six months. It’s true that in the early 1970s, artists were expected to release albums more frequently than they are today, but by the mid 60s, even The Beatles took eight months or so between releases, and they had three songwriters and a studio ally in George Martin. Working alone in the studio, Rhodes was a solo act in the truest sense, still something of a rarity in those days. So once he gave up on that deal – he managed three records out of the six expected of him – Rhodes pretty much went to ground. And though one might have predicted that after that experience he’d steer far clear of the music industry per se, in fact he did exactly the opposite: he left his home studio and went to work as a staff engineer for Elektra/Asylum, then one of the most prominent of the L.A.-based record labels. It was while there that he first heard a new recording by a popular all-female group called the Bangles; they had cut a cover of “Live,” a song Rhodes composed when in The Merry-Go-Round. (“I wish I had done it as well” as they did, he says.) The Bangles were all keen students of sixties pop and rock, especially the less well-lit corners of the scene. “I never got paid for that one,” Rhodes laughs with a shrug. “I had horrible publishing, and [other] people ended up taking all the money.” His reaction is resigned and surprisingly good-natured; one suspects his experiences on the short end of the stick have made him a bit philosophical about it all. 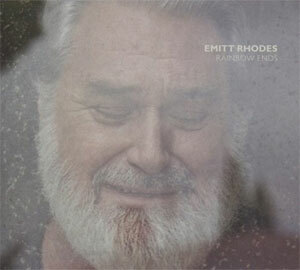 Eventually, though, Emitt Rhodes retreated to that home studio, occasionally producing sessions for other artists. 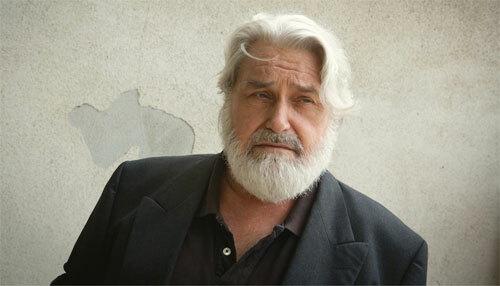 When Varese released a compilation in 1994 (Listen, Listen: The Best of Emitt Rhodes), he contributed one new track. I heard some early mixes from those sessions, courtesy of someone involved with the project. A few songs eventually came out digitally, though they were soon removed from sale (remixed versions of those three tracks were released on iTunes several years later). And for awhile, it seemed that the world wouldn’t ever hear from the reputedly reclusive Rhodes. But about a year ago, whispers began circulating about new musical activity. Cautious optimism was the watch-phrase; those who hoped for a new album from the man had been disappointed before. Eventually, word got out that Omnivore Recordings would be involved with the project; that news gave the entire enterprise a sheen of credibility, of responsibility. The Grammy-winning boutique label started by Cheryl Pawelski in 2010 quickly made a name for itself as the home for thoughtful reissues and compilations, and occasional new releases. A title was leaked: Rainbow Ends. We also learned that Rhodes would be employing a very different approach for his new record: he would hand over the producer’s duties to his friend Chris Price. Price had previously produced The Soul of All Natural Things, another comeback-of-sorts album by an even more obscure artist, Linda Perhacs; he had also played in a Miami powerpop group called Dreaming in Stereo with Fernando Perdomo, now a major fixture on the Los Angeles studio and concert scenes. And if that weren’t enough, the “one man Beatles” would limit his instrumental participation on Rainbow Ends to acoustic guitar, employing for the first time ever an actual band. Assembled expressly for the making of Rhodes’ album, the lineup of this unnamed band reads like an Emitt Rhodes Fan Club: guitarist Jason Falkner (Air, Jellyfish, Three O’Clock, The Grays, TV Eyes, Beck), Roger Manning (Jellyfish, Moog Cookbook, Imperial Drag), Price, Perdomo and others. Guest performers on Rainbow Ends – players careful never to overshadow the preternaturally unassuming Rhodes – include more acolytes: Probyn Gregory and Nelson Bragg (Wondermints and Brian Wilson‘s band respectively), Susanna Hoffs (The Bangles), Jon Brion, Nels Cline, Aimee Mann, Pat Sansone (Wilco) and more still. Those expecting a rocking-out album clearly hadn’t been paying attention: while there’s a definite ear-candy pop sensibility to Rhodes’ writing, he’s never been about heavy beats and hard-charging guitar lines. As such, while the lazy comparison is often made between his work and that of early solo-period Paul McCartney, most ears will find that the songs on Rainbow Ends feel more like vintage James Taylor. To promote Rainbow Ends, it was said that Rhodes would be making public appearances. This pronouncement was met in some quarters (including this one) with some skepticism: Emitt had been off the screen for so long, and when the occasional music journalist would track him down for some on-the-record chat, the results were sometimes a bit unsettling, suggesting a man who was at best unhappy and at worst dealing with some troubling issues. Back in 2010 Rhodes had appeared in front of an audience along with presenter Michael Des Barres; the latter had just screened The One Man Beatles for an assembled crowd. When the time came for questions, Rhodes seemed affable enough, but with little to say. He seemed not especially to want to be there; the result was not unlike had Des Barres enlisted a random audience member to answer questions. Rhodes did appear at the Grammy Museum in February 2016 for a brief performance led by Price, but he kept his participation to a minimum. Not a “sit at the piano and pretend to play” minimum a la Brian Wilson, but more a “mostly inaudible acoustic guitar sideman” kind of role. Rhodes said he had the flu, and thus didn’t sing much. The health problems continued, it would seem, largely unabated. In March, Rhodes was scheduled to perform at the famed South by Southwest (SXSW) Festival; at the last possible moment, he bowed out, unable due to health reasons to make the trip from Hawthorne to Austin.